Why Fly? Will High Prices, Low Service and Risky Planes Change Our Travel Plans? The emerging revelations about cracks in the fuselages of Boeing 737s (BA) are bad news for air travelers. And with fees and surcharges on the rise due to increasing oil prices -- jet fuel is up 51% in the last year, according to the International Air Transportation Association -- the costs and risks of flying are really piling up. The question is whether the additional pain is enough to make would-be fliers change their plans. There are certainly alternatives to flying: For business people, there's web conferencing, and for leisure travelers, there's the option of taking a vacation within driving range. Of course if you own your own corporate jet, there's no reason to fret. But for the rest of us, this sudden increase in the risks and costs of flying should make us reconsider. Southwest Airlines (LUV) little incident last Friday -- in which a surface crack tore a five-foot gash in the fuselage of one of its 737s at 36,000 feet -- led to an industry-wide surge in plane inspections. On Monday, the Federal Aviation Administration announced inspections of 170 737s worldwide -- 80 in the U.S. -- to make sure there are no cracks underneath their aluminum skins just waiting to tear open, reported The Wall Street Journal. Fortunately, the Southwest incident caused no loss of life, but it has scared the FAA into requiring that airlines change the way they inspect airplanes. Before, the airlines didn't start to get nervous about potential cracks until an aircraft had more miles under its wings, so they just did visual surface inspections. From now on, the FAA will require that airlines periodically use electromagnetic testing devices to hunt for minute cracks in older 737s where the rivets connect skin panels, according to the Journal. Meanwhile, the economics of the airline industry are changing in a way that's great for shareholders, but more costly for passengers. 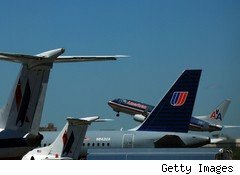 As I wrote in a January DailyFinance article, the airline industry lost $60 billion cumulatively between 2000 and 2009. But the IATA reported that in 2010, the industry earned $16 billion in profits. Those high returns are expected to fall 46% to $8.6 billion in 2011 due to far higher than expected oil prices, despite industry hedging. IATA Director General and CEO Giovanni Bisignani called 2011's expected 1.4% net margins "pathetic." Another thing that's pathetic: earning those profits by boosting prices while disrespecting passengers. The industry's current profitability can be traced to a combination of higher fares, new and higher extra fees -- surcharges added $4.3 billion to industry revenues in the first nine months of 2010 -- packed planes running with 82% load factors and mergers. The one profit-boosting tool for airlines that isn't a downer for customers: They've added more fuel-efficient aircraft. Given all that, it should come as no surprise that there has been a 30% boost in customer complaints. So if you're thinking about traveling by plane, it's time to think again. Do you really need to pay a premium to be crammed into an aircraft that is likely to reach its destination late? If you're a business person, could you handle your business through Skype or videoconferencing? If you're planning a summer vacation, could you find a fun destination closer to home? The only way to get the airline industry to improve its service is to kick it where it hurts -- right in the profit margins. If enough people stop flying, the resultant drop in revenue might get the industry's attention. But as long as aircraft remain packed to the gills, the carriers will grasp for every dollar they can get -- regardless of how that effects their passengers.